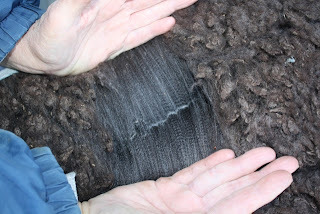 This fleece will have 2 months to do some more going, than it will be sheared, and offered for sale . I'll be posting all of the photos around the 12th of January, 2012. They will be available for sale on that day. Then they will be sheared on February 12th. and shirted. The sold fleeces will be mailed out on the 14th. 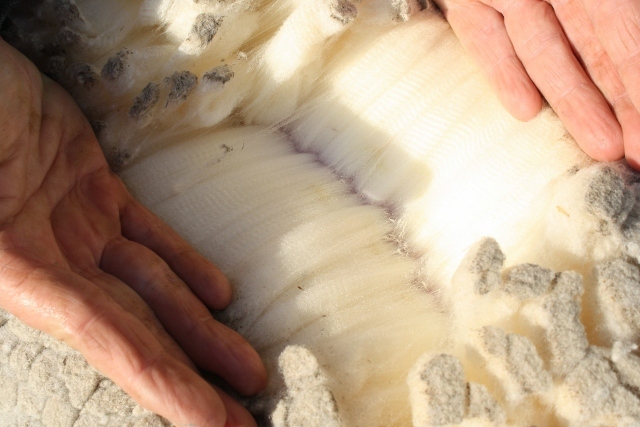 Once again this year you'll be able to purchase in pound increments, or the whole fleece. Oh Charlotte you really know how to torture a person don't you hehe. I am now combing Calico fantastic fleece. What a pleasure to work with! oh, you tease! They look yummy. 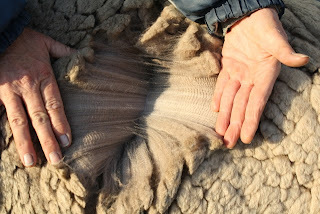 How do I purchase the sheering of the last fleece. This was confussing. MPEARLL CULLS SHEEP LIKE STING? It's not " CONFUSSING"...it's SESSECTE- DESSESSE- MUSSEC- NEWFOUNDLAND with LIZEND and REDCRAZE.